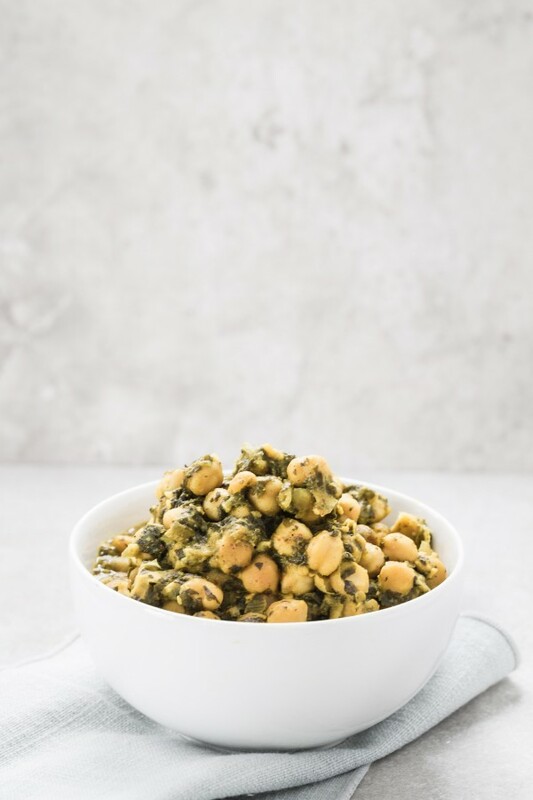 This is my second recipe for chickpea spinach curry in the blog however this one is much faster since it pretty much just takes 5 minutes to prep and just 20 minutes to cook. 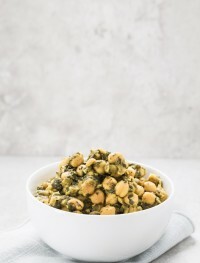 If you are like me and love curries you are going to love this chickpea spinach curry not only for its flavor but because it is super easy to make. I was able to make this recipe in my pressure cooker. 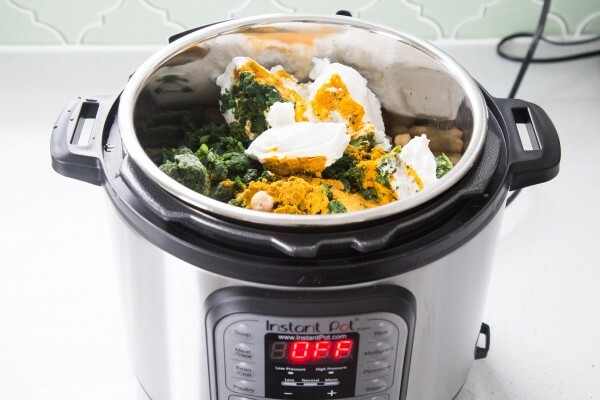 You can use your own pressure cooker or get this one that is is just the bomb. I have never had a pressure cooker before because I was really afraid of them but this one not only is super easy to use but you can cook a multitude of things since it is also a rice cooker, slow cooker and much more. Come May, when I start my physician assistant program, I am taking it with me so that I can make easy, healthy recipes. If you don’t have a pressure cooker you can also do this recipe in the stove top, however, it will take you longer. 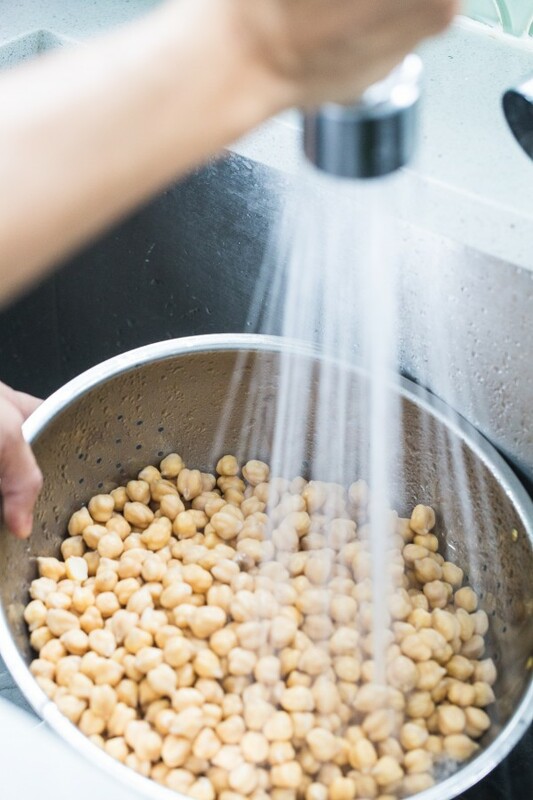 I used pre-soak chickpeas and in the pressure cooker it takes only about 20-25 minutes. In the stove top I anticipate that it will take at least double if not triple the time. I have also made a video to show you how super easy this recipe so make sure you take a look. I have made this a multitude of times and I have been able to freeze it no problem. The only thing I have to do is re-heat it and make some rice for it. So easy and quick. 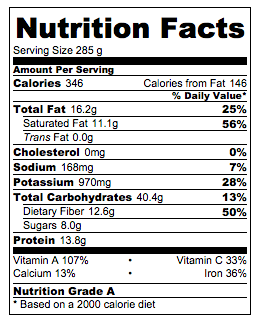 Great for a meatless dinner. By the way, I am currently in Thailand for cooking school. I am learning the best recipes. Thai flavor is just simply out of this world. I will be posting a couple of recipes upon my return so if you like Thai food you are in for a treat. I will also show you the places I visited so that if you ever have a chance to come you can experience these amazing places as well so stay tuned! 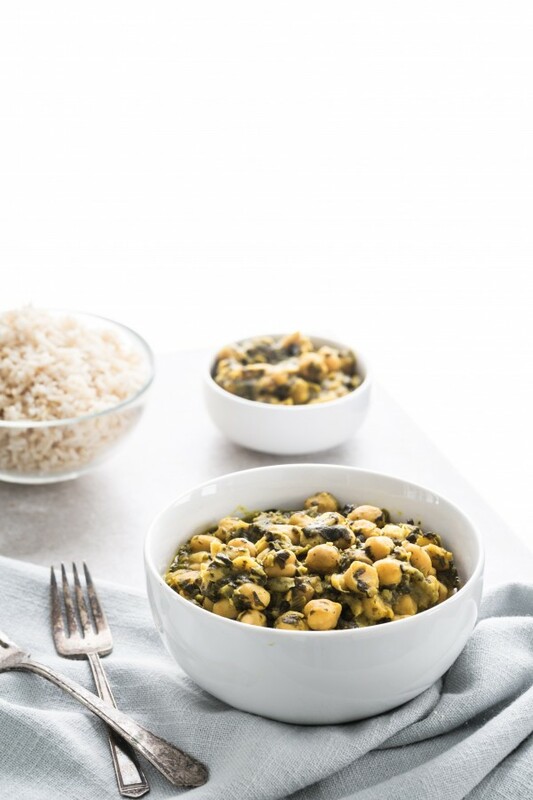 Anyhow, I leave you with this chickpea spinach curry that is nothing but easy, delicious and healthy. Add all the ingredients to your insta-pot or pressure cooker and set for 20-25 minutes. Serve with brown rice. Note: If you would like to make this recipe on the stove top the chickpeas will take double the time if not triple. I also set my instapot to 30 minutes because I used 1 1/2 lbs of chickpeas.